JP Villa is an elegant property with spacious rooms on Jail Road, in Hari Nagar in Delhi. 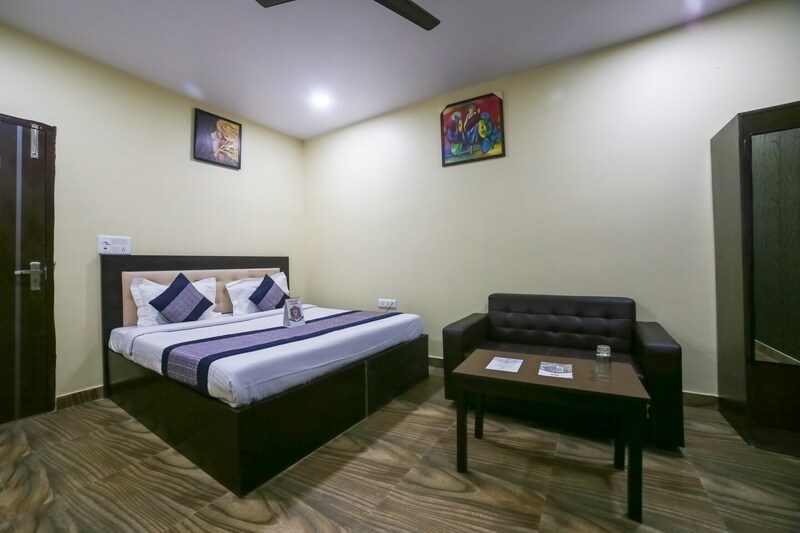 The hotel is only 15 minutes away from Delhi Cantt Metro Station. Tilak Nagar Metro station is also close by. Shri Santoshi Mata Mandir, INOX Janak Place and Miraj Cinemas are also nearby. The property has an onsite kitchen. The rooms are spacious and done up in a mix of light and dark tones for a cosy ambience. The bathrooms are stylishly tiled. All the rooms have seating area, AC, TV and free internet access. The property offers CCTV security and power backup. The hotel is surrounded by eating joints like Om Sweets and Snacks, McDonalds, Havmore Icecream, Chef Punjabi and many more.